Latest Updated on 30.05.2018 : RRB Group D Exam Will Be Happened In 05 Phase….The Exam Will be Started From 12 August & Will Last Upto 16 September……Check the Exam date Through the Candidate’s Name First Letter…….Get the Detailed Info. Through the Image Given Below…….. 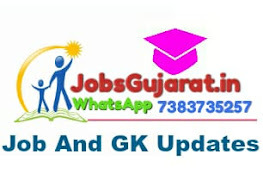 In The Upcoming RRB Group D & ALP Technician Exam, Each Candidates Will Get Different Question From Other Candidate……….Get The Detailed Info. Through The Image Given Below……. All the Candidates Successfully submitted there Application form and Now they are waiting for there Exam. Soon the Exam will be Conducted and The Date of Examination will be Announce on the Official website of RRC. The Broad details about the Examination is given below. The weblink for downloading their e-admit card of Railway Group D Admit Card for Written Exam will be provided Soon on the RRC Official website. Candidates who applied for this Competitive Exam should download their E-admit Card or Hall Ticket to enter in prescribed Exam Centre of Group D Preliminary Exam by Railway Recruitment Cell. No Admit Card or Hall Ticket will reach home of Candidates by post, it can only be download in upcoming dates before Exam. Also the Candidates Can Download there Admit Card from the Below Provided Link.